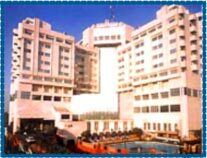 Locational Advantages: This hotel, which stands for true excellence in courtesy and hospitality, is also conveniently located close to Delhi's prime commercial centre and is an ideal base from which to explore the tourist and historical attractions of the city. Or Well located vis-a-vis industrial & commercial centres. 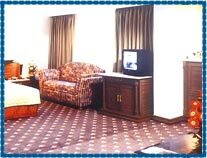 Hotel Description: The rooms at the hotel Crowne Plaza Surya New Delhi are well furnished and beautifully decorated. It is a half an hour's drive from the international airport and is also close to Delhi's business centers like Nehru Place, Trade Fair Ground, Okhla and Noida. 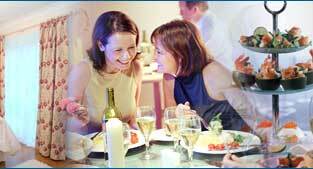 It is also near shopping haunts like Connaught Place and Lajpat Nagar. 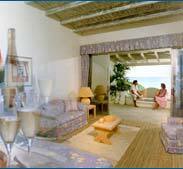 In short, the ideal base to explore the tourist and historical attractions of the city. You can reach the city center from the hotel in about 15 minutes. 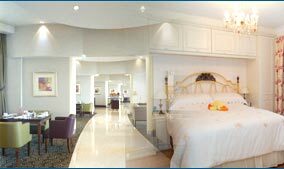 Crowne Plaza Surya Hotel New Delhi provides elegance and comfort to make your stay truly comfortable and memorable. 24 Hrs Rooms Service, H/C running water, Telephone, Fax, T.V., Safe Deposit, Channel Music, Tea/Coffee Maker, Bar, Personalised Butler Service, Secretarial & Courier Service, Telex, International and domestic direct dial telephone, Photocopier, Facsimile, Word Processor & Dictaphone, Round the clock Arizona, Business Centre, Separate Executive Floor, Executive Lounge, Banquet Facilities, Sauna, Jacuzzi, Conference Facilities, Beauty Parlour, Shopping Arcade, Electronic digital safes, Golf available on request Tie up with Clients, Health Club, Ayurvedic Massage. Doctor on Call, Laundry, Money Changer, Banking, Safe Deposit, Baby Sitting, Valet, Travel Desk Service, Currency Exchange, Hair Dryer, Newsstand, Wake up service, Shoe Shine, Turndown Service, Concierge Services, heelchairs available on request, All Major Credit Cards Accepted (Credit cards accepted: American Express, Visa, MasterCard, Diners Club, JCB, Andhra Bank Card, Central Bank and BOB Card ).